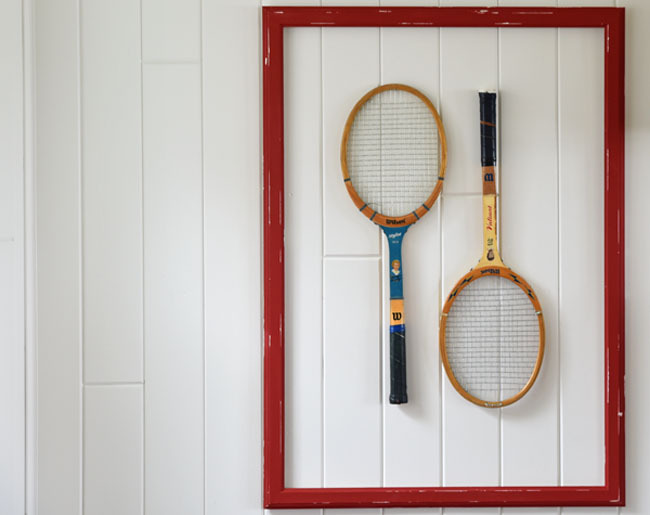 I recently saw a couple of great looking framed tennis racket prints at Restoration Hardware (links here and here). Although they are currently around 50% off, at $245 a piece that’s still too much for the space I want to fill at the cabin. 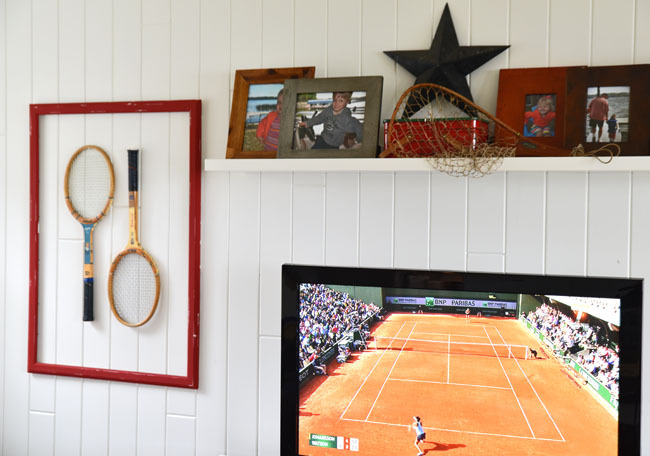 I decided to mimic the look with some antique tennis rackets collected over the years by my mom and sitting on a shelf with plenty of other sports memorabilia in Taylor’s room (in other words, I didn’t think he would miss them). I purchased a large frame at Ikea, removed the glass and mat, changed up the color with some chalk paint (some detail on that, below) and hung the two rackets in the center. 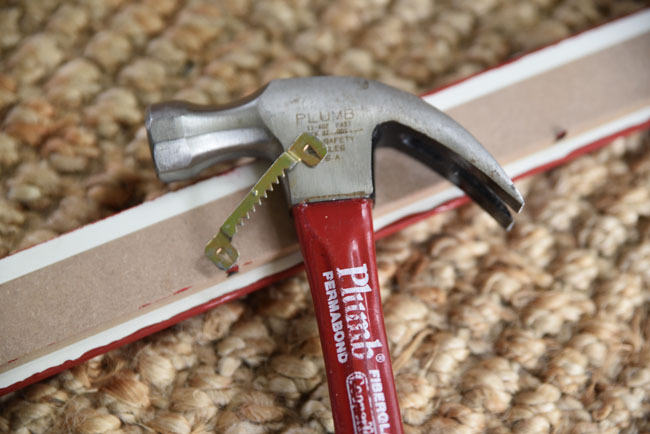 An easy, very inexpensive DIY wall décor that fills a large space with big impact. It’s perfect at the cabin where I want to avoid having all décor lean in the nautical direction. More detailed steps included below. This project will take a relatively small amount of paint (and, thankfully, time!) 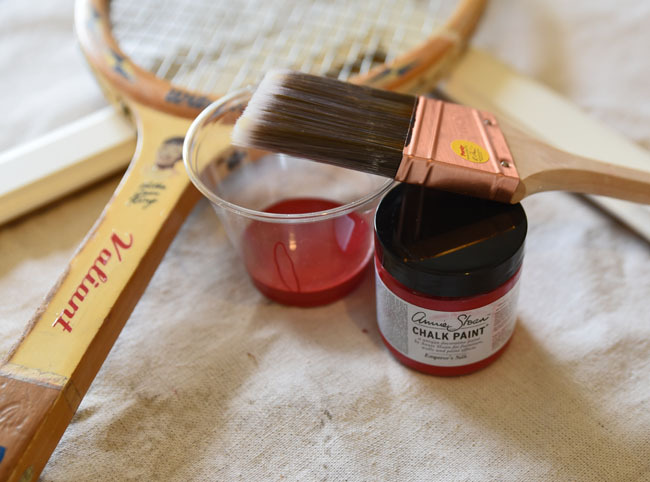 so pour a bit of paint in a separate, small container to help preserve the remainder of the paint. 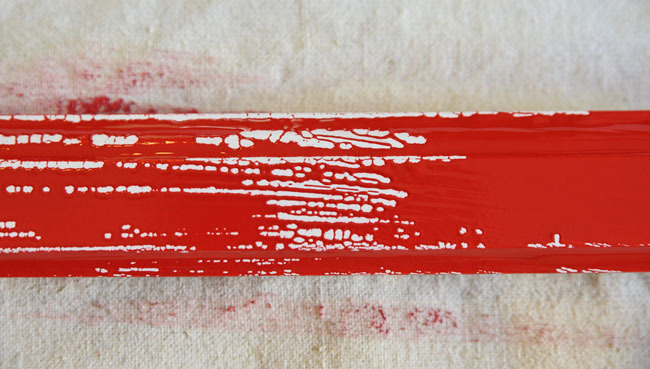 So, chalk paint – which I thought was supposed to cover everything – didn’t work so well with the Ikea material/finish. 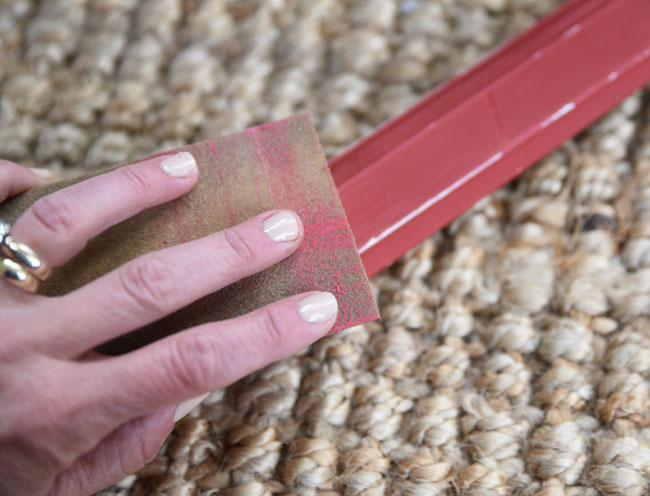 The first couple of coats did this (above). It was a bit frustrating, but I knew that I would be distressing the finish so I wasn’t too concerned about incomplete coverage. But for future projects with the Ikea material, I likely will save even more time and money and opt for spray paint designed for plastics (that really does seem to stick to everything, based on my experience). The frame is super light, so attaching simple hanging hardware on the back does the trick. Place the rackets where you would like them in the frame, and mark a place in the strings from which to hang the rackets on a small nail or two. 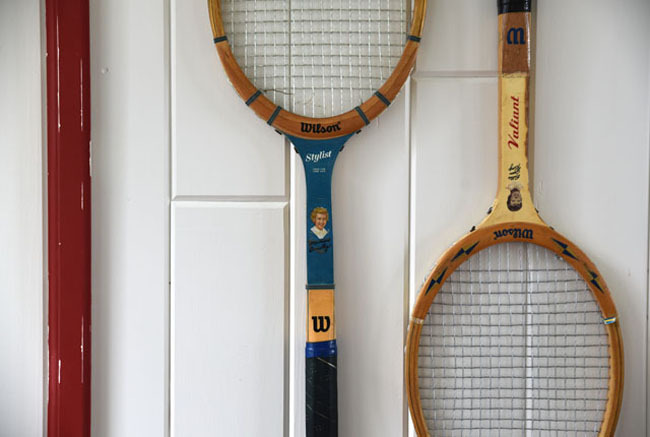 French Open on TV….nice touch and the old Billy Jean King rackets never looked better. I am happy I found it necessary to purchase them years ago.